I was intrigued to hear that our dried rose buds would be on display at a London art Gallery! 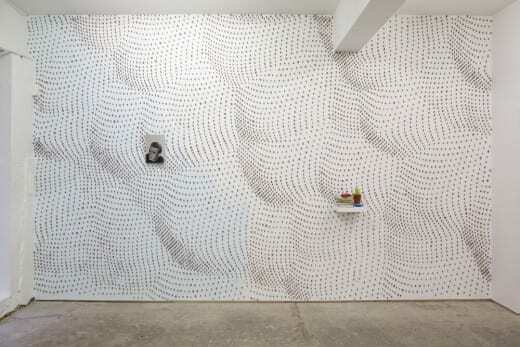 The rosebud installation is just one part of a larger exhibition entitled Morphing Overnight, which is curated by Attilia Fattori Franchini and runs until 18th April 2015. 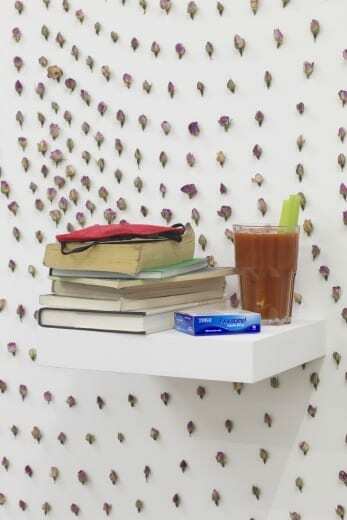 I love the cloud-like, billowing nature of the rosebud arrangement which contrasts with the everyday items on the shelf. 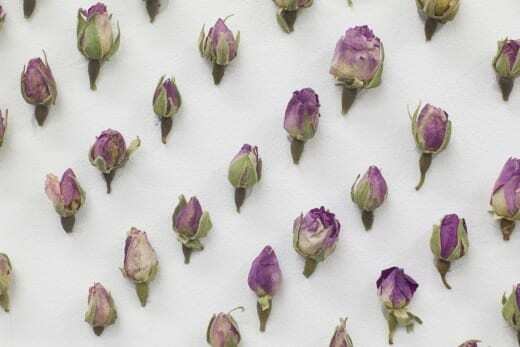 The art collective bought 5Kg of pale pink dried rosebuds which they glued to the wall one-by-one.